Originally the St. Bernard Market founded in 1854, Circle Food Store was a community gathering space which housed a grocery store, bakery, pharmacy, uniform shop, dentist, chiropractor, bill payment center and other necessary amenities before its closings following damages by Hurricane Katrina and additional flooding in 2018. The present-day location of Circle Food Store at the corner of St. Bernard and Claiborne Avenues, first played host to a market in 1854. Then called St. Bernard Market, this grocery was one of several dozen public markets operated by the city of New Orleans between 1830 and 1940. 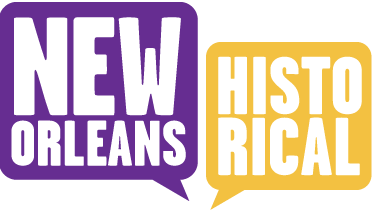 At one point the city owned 36 public food markets, including the famous French Market and newly restored St. Roch Market. Following the economic devastation of the Great Depression, many of these markets were sold to private investors. The iconic Circle Foods Store building that stands empty today was constructed in 1931 by architect Same Stone Junior. Circle Food Store took the place of St. Bernard Market when it was incorporated in 1938. Circle Food Store has been referred to as the first black-owned and operated grocery in New Orleans. The market got its name from the traffic circle that stood at this intersection prior to the construction of the raised interstate highway, now looming above. The construction of the interstate bulldozed much of the beautiful homes and thriving black-owned businesses on this once tree-lined commercial district. 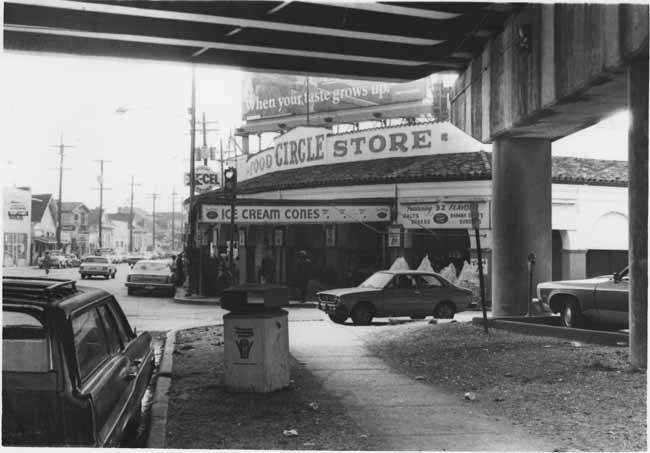 While some local businesses faltered following the interstate project, Circle Food Store remained a vibrant community hub and essential location for food shopping. Circle Food Store traded hands several times but continued to provide services to its neighbors. Circle Food Store sustained serious damages during hurricane Katrina that prevented it from reopening in the years following the storm. Then owner Dwayne Boudreaux, with the support of community members and organizations, made numerous attempts to garner public support and funding to repair and reopen the iconic market. Circle Food Store reopened in 2014. Unfortunately, Circle Food Store closed just 4 years later following damages from severe flooding in the summer of 2018. "NBR Announcement, Circle Food Store, North Claiborne and St. Bernard, 1979." ~ Source: Image courtesy of New Orleans Public Library, Louisiana Division, Mayor Ernest N. Morial Photograph Collection, Streets Department, Photograph #1722. http://nutrias.org/photos/enm/enm91_1722.htm ~ Creator: Photo by Porter's. Christina Lawrence, contributor and Kathryn O'Dwyer, contributor and editor, “Circle Food Store,” New Orleans Historical, accessed April 24, 2019, https://neworleanshistorical.org/items/show/602.